Chandigarh Sep 15 (IANS) The Punjab and Haryana High Court on Saturday allowed the Shiromani Akali Dal (SAD) to hold a political rally in Faridkot town on Sunday. The Congress government in Punjab had earlier denied permission to the SAD to hold the rally citing law and order issues in view of protests by Sikh organizations against sacrilege cases being held at Bargari about 40 km from the Akali Dal rally venue. The Punjab government after the High Court allowed holding of the rally filed a review petition but the court allowed SAD to hold the rally on Sunday. 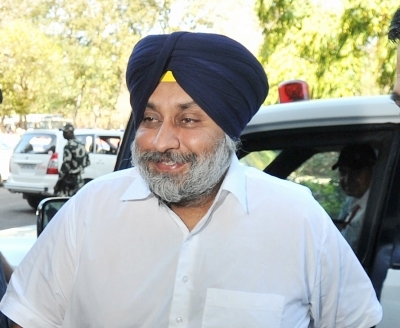 SAD President Sukhbir Singh Badal said: "The High Court has upheld the values of democracy by snuffing out Congress attempts to use repressive means as well as the bogey of violence to muzzle the voice of democracy." "The fate of the review petition should be a lesson to the Congress that no government could infringe upon the fundamental rights of its citizens to protest in a peaceful manner " Badal said. The SAD president alleged that Congress was instigating violence by actively encouraging radical elements to create a flash point.